09/07/13 Ka band LNB on 24GHz? 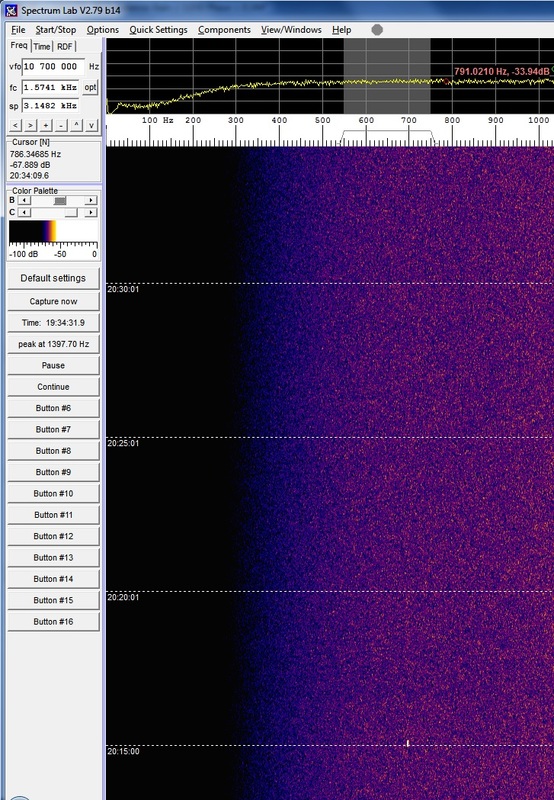 This evening (24/7/14) i set a slow moving waterfall to average the spectrum on 24GHz around GB3MAN beacon. There is no RS about but 10GHz signal is up peaking 15dB/10Hz, Dew point is 8C.